Every year since 2004, Sports Illustrated has rounded up the annual income of athletes and ranked them. This year, the number one athlete is boxer Floyd Mayweather, Jr. And making his first appearance on the list is Cincinnati Red favorite Joey Votto. Yes, coming in at number 45 with a total income of $19,250,000 is Votto. The 2010 MVP and a perennial All-Star isn’t a national household name. But Votto, 29, is extremely popular in Reds country and last year Kroger markets unveiled VottO’s cereal in Cincinnati and Dayton. Only $250,000 of that total is from endorsements, so there’s definitely room for improvement in the future. As far as I can tell, Votto is the first Red to make an appearance on the list. The first few years of the list were never placed on the internet in full and have been lost forever, so I’m saying that’s good enough. Congratulations, Joey! And congratulations to the Reds’ ownership. It’s really nice to see them committing to keeping their excellent home-grown talent and rewarding them accordingly. It’s only Spring Training, but yesterday Joey Votto hit his first home run in a baseball game since June 24. That was two knee surgeries and one disappointing playoff appearance ago, in case you were counting. The Cincinnati Enquirer’s video of the shot from the press box is below. This is just great to see, and it has nothing to do with the Reds winning their first game of the Spring. Votto having his power back, along with his awesome everything else, makes this team so much more dangerous. Posted in Cincinnati Reds, Human League, Joey Votto, NL Central, Spring Training. 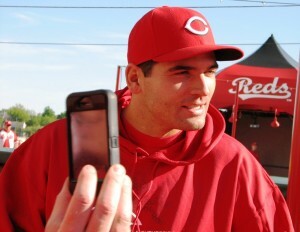 Votto will rehab with class A Dayton starting Tuesday. 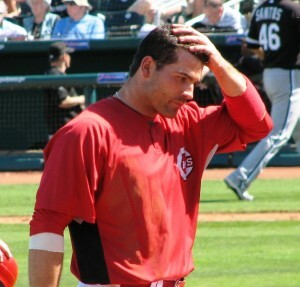 The day of Joey Votto’s return to the Cincinnati Reds may be this next week. The Reds plan to have Joey Votto play rehab games at Single-A Dayton on Tuesday and Wednesday. If all goes well, Votto will rejoin the Reds and be activated next weekend when the club plays in Houston. Votto hasn’t played since July 15. Since then, he’s had two procedures on his knee to deal with loose cartilage. And I can’t write any more about the procedure because it starts making me a little queasy. For the last few days, Votto has been doing baseball activities at Great American Ball Park. However, he doesn’t feel that’s enough to jump right back into the major league lineup and would like a couple games in the minors. I understand his apprehension, but I also miss seeing him in the lineup. It has been nice that the team has gone 27-13 in his absence, but there’s no player I enjoy watching more than him. His return is getting closer, though. I just hope he lays off the sliding. Posted in Cincinnati Reds, Human League, Joey Votto, NL Central, Wheeling and Dealing. Voting for the All Star game has ended, and the last time Major League Baseball released the vote totals, Cincinnati Reds first baseman Joey Votto was far-and-away the overall vote leader for the National League. He’s set to join a list of some impressive Reds. He will join Johnny Bench, Joe Morgan and Ken Griffey Jr. as Reds who have won the overall NL vote. 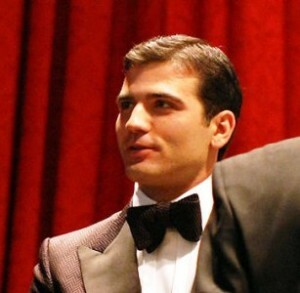 “That would an enormous deal for me,” Votto said. Votto leads St. Louis Cardinals first baseman Lance Berkman by 3 million votes. When Votto wins, this will be his third All-Star game, but his first as a starter. It sounds like the rest of the baseball world is starting to wake up and realize the awesomeness that is a grown man named Joey. The Reds better hurry and lock up this guy to a long-term contract soon.